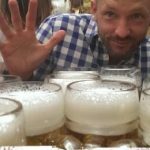 Man's beer-only diet is the only health plan we need! 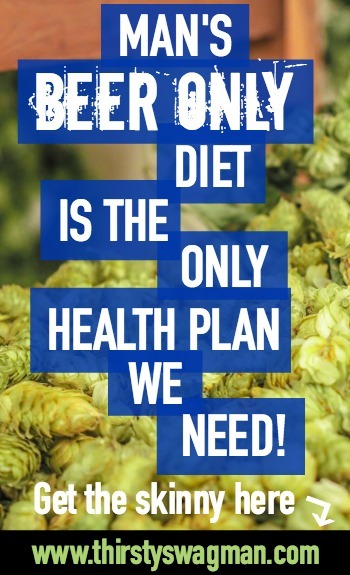 Man's beer-only diet is the only health plan we need! Home / Thirsty News / Man’s beer-only diet is the only health plan we need! 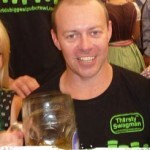 Man’s beer-only diet is the only health plan we need! So who here wants to go on a diet? Yeah, exactly. None of ya! Well, what if I said it was a beer only diet? Would you try it or deny it? Attempt it on the quiet? Although I feel like this is the kind of health plan you’d tell all your friends about. And your co-workers. And just everyone you pass on the street in general. I’m talking about J. Wilson (I’ve searched everywhere for his name but apparently it’s just J period) and his quest to live the life of a 17th century German monk, as we all do as some point in our lives, right? J. Wilson is an American homebrewer and, frankly, the smartest guy we know. As a brewer himself, he was no stranger to the monastic traditions of beer brewing and wanted to try out (and determine the validity of) a few of their methods for himself. As a way to stay satiated (and alive) while fasting during Lent, the German monks of Neudeck ob der Au outside Munich developed what they called “liquid bread”—the dopplebock. Hallelujah! Everybody now—HALLELUJAH! Giving up solid foods entirely for the 46-day period, they subsisted on this uber rich, malty brew and nothing else. For 46 days. Just beer. Just looooots of beer. No food. Beer. For his project dubbed “Diary of a part time monk” J. Wilson put 17th century religious traditions to the test and set out to survive on beer and beer alone for 46 straight days. His beer of choice? A self-brewed dopplebock, just like the monks used. The dopplebock—packed with carbohydrates, vitamins, and calories—is the perfect choice for a beer fast and proves that even monks like to have a fun a lil’ bit. Wilson made it through the entire 46 days and the results are shocking (to health professionals that is, not to us everyday imbibers). Our modern day pseudo-monk lost 25.5 pounds and claims to have gained self-discipline and both mental and physical rejuvenation. Sooo, just like the monks did! Kudos, J. Wilson! You’ve earned your brown paper bag and I’m specifically talking about what you’ll be wearing from now on. The 17th century monks’ legendary “liquid bread” is still available today only you know it as Paulaner Salvator. Want to try this diet? 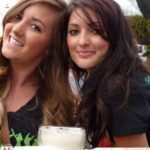 Check out some of these amazing beer tours.